In my April 6 post, It’s not a Plateau. It’s a Crossroads. I described the plateau encountered by most people soon after they begin swimming as the place where you can learn lessons and gain insights that will determine your ultimate level of accomplishment and satisfaction as a swimmer. The greatest danger is to assume you’ve gone as far as you’re capable of. It happened to me 40 years ago, and it took me another 30 years to discover the way out. I started swimming competitively as a 10th grader and never quite escaped the literal slow lane of my relatively undistinguished high school team. I swam the longest event – 400-yard freestyle at the time – and while I wasn’t winning races, at least my times were improving. When I began college swimming (in late 1968), the stakes and the training increased sharply. Over the next two years my time for the 1650-yard freestyle improved by almost 3 minutes. But in my third year, it improved by only 4 seconds. Going into my final season I resolved to work harder than ever, prevailing on our coach to offer double workouts twice a week. Even so, that year my 1650 time was 20 seconds slower and I fell out of the top 6 at our conference meet. 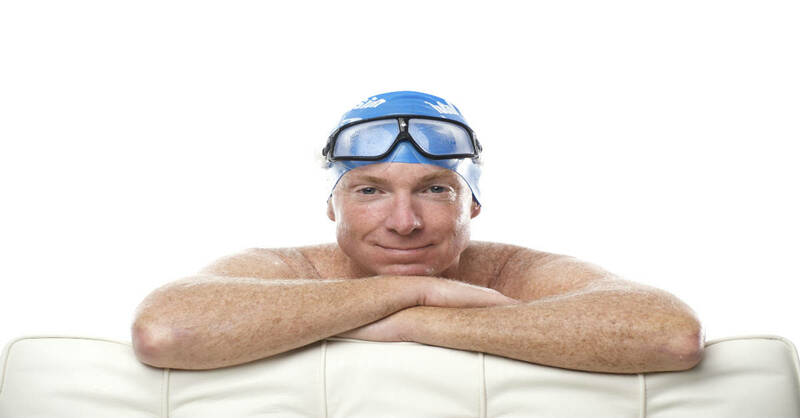 I concluded I’d reached the limits of my ability and ‘retirement’ from competitive swimming came as a relief. A quarter-century later, looking for lessons about skill-acquisition to pass on to ‘adult-onset’ swimmers, I read several books about martial arts. The most influential was Mastery, the Keys to Success and Long Term Fulfillment by George Leonard. Leonard was a student of Zen who became an Aikido sensei despite beginning study at the advanced age of 47. Leonard writes that fulfillment comes not from achieving a goal but from choosing a challenge that requires your full devotion — which is precisely how I experience improvement-oriented swimming. Loving the plateau doesn’t infer complacency. Rather it means coming to value the process over the product. In the previous article, I quoted a TI Discussion Forum post from SG who had improved in a matter of months from swimming two laps to three miles, then over a few more months improved his time for one mile from 40 to 33 minutes. When his progress stalled he experienced his first frustration — and a measure of doubt over whether he could swim any faster. When doubt intrudes, improvement — and commitment — become doubly hard. Passionate Curiosity “I have no special talents; I am only passionately curious.” Albert Einstein. Are there aspects of swimming you take for granted, do by rote, or simply because you’ve seen someone else doing it? Do you know the specific benefit of every technique or training method you practice? Pursue Improvement Make it your goal to improve your swimming – not just to show up, check off an item on your to-do list, or complete a certain yardage total – every time you enter the water. If your goal is to get in 3000 yards, that’s all you’re guaranteed to accomplish. If you make it your goal to spend an hour purposefully focused on improvement, your chances of that get a quantum boost. Be Specific The human brain dislikes generalities and thrives on specifics. So when you set an improvement goal, make it explicit. Is it your head position while breathing . . . seeing fewer bubbles in your stroke . . . imprinting a Mail Slot entry . . . or to keep your SPL below 17 in a set of 200s? Measure “What gets measured gets improved,” goes the saying. When you set out to improve something how will you know you’re going in the right direction? Set up feedback loops to keep you on track. Trust When your improvement curve flattens, it’s critical to understand that when you practice with specific, measurable improvement goals change at the cellular level (i.e. neurons in your brain and nervous system) – while not perceptible – is ongoing. At intervals that incremental change consolidates to produce a thrilling forward leap. Between those leaps, the pleasure of total immersion in practice is its own reward. It was a source of real pleasure to me when I realized that the principles for swimming well were the same as those for doing anything else well – which means living well too. I would not completely agree with your opinion here. I swim for enjoying, being happy into the water, watching beautiful paisages… I am not sure I can mesure any of those feelings and, if I begin to do so, I am sure I would lose a great part of what atracts me to swimming. I like being faster every year (or month, or day), but I also like when, in a given day, I am slower. Then my next session can be the fastest I ever had. Possibly I hold a different point of view, because I do not have any competitiveness purposses. I just fight agains me and my ideas (what about crossing over there through the water?, for example, in a place where probably anyone has ever done that before) and that is what keeps me wet. Every body has its own inside thrill. It’s not a matter for agreeing or disagreeing. Rather it’s important to recognize that different people value different things about swimming. Most of the world feels as you do. Their reasons for swimming are more esthetic or spiritual. They’re less inclined to emphasize empirical measures like stroke counts, tempos, and times. But there’s also sizable group who are achievement or performance-oriented and do want to measure those things This article was intended to encourage them to maintain positive expectations — and effective practice habits – during periods when they seem to be making no progress. However you do acknowledge that you like seeing evidence of improvement or progress, reflected in swimming faster times as the months pass. The habits I recommended increase your chances of seeing that sort of progress. Thank you, Terry. In the end wem all think more or less the same. what they are talking about on the internet. You actually realize how to bring a problem to light and make it important.